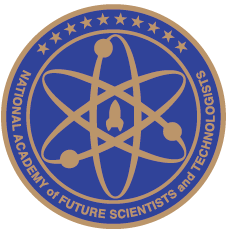 The National Academy of Future Scientists and Technologists has began making nominations nationwide for the Congress of Future Science and Technology Leaders to be held in Boston, Massachusetts this summer. Nominations are being made for the June 29–July 1, 2017, Congress of Future Science and Technology Leaders to be held in Boston, Massachusetts. The Congress is an honors-only program for high school students who want to pursue careers in science, technology, engineering or mathematics. The purpose of this event is to honor, inspire, motivate and direct the top students in the country who aspire to be scientists or technologists, to stay true to their dreams and after the event, the aim is to provide a path, a plan and resources to help them reach their goals. Students are nominated by Dr. John C. Mather, winner of the Nobel Prize in Physics and science director of the National Academy of Future Scientists and Technologists, or by high school teachers across the country based on a student's academic achievement, leadership potential and determination to serve humanity in science and technology. Students attending must have a GPA of 3.5 or better. During the three-day Congress, Congress scholars will join other students from across the country and hear Nobel Laureates and National Medal of Science and Technology recipients talk about leading scientific research, be given advice by deans of the world's top tech universities, be inspired by fellow teen science prodigies, and learn about cutting-edge advances and the future of science and technology. See a three-minute highlight video at http://www.SciTechLeaders.com. Winner, 2013 Siemens Competition Grand Prize Winner, Shree Bose, 2011 Google Science Fair Winner; Ryan Chester, Winner 2015 Breakthrough Challenge and Paige Brown, 2016 Intel Science Talent Search Winner in Global Good, among others. "I want America’s brightest students, our future STEM leaders, to see the biggest possible future for themselves," said Richard Rossi, executive director, National Academy of Future Scientists and Technologists. "These focused, bright and determined students are our future, and they deserve all the mentoring and guidance we can give them." The Academy offers free services and programs to students who have the desire to learn more about their future in science or technology. Some of the services and programs the Academy offers include online social networks through which future scientists and technologists can communicate; opportunities for students to be guided and mentored by tech and science leaders; and parents and students can find communications on college acceptance and finances, skills acquisition, internships, career guidance, and much more. The Academy was founded on the belief that science, technology, engineering and mathematics (STEM) education plays a critical role in enabling the United States to remain the economic and technological leader of the global marketplace of the 21st century and that we must identify prospective talent at the earliest possible age and help these students acquire the necessary experience and skills to take them to the doorstep of vital careers. Based in Washington, D.C., with an office in Boston, Massachusetts, the Academy was chartered as a nonpartisan, taxpaying institution to help address this crisis by working to identify, encourage and mentor students who wish to devote their lives to advances in society as scientists, technologists, engineers and mathematicians. For more information, visit http://www.SciTechLeaders.com or call 617-307-7425.